The Spring Java City Concert Series continues at noon today with a performance by master musician from Nashville Dave Issacs. Hailed as one of the most talented performers on the planet by audiogrid.com, Dave is a world class guitarist who has played everywhere from dive bars to concert halls. The lunch-time crowd at Java City was treated to the sometimes sassy, sometime sultry, soulful sounds of singer/songwriter “Lonesome Liz” also know as Elizabeth Bissette. Ms Bissette, currently living in Bowling Green, performed a musical cornucopia of tunes ranging from 1930s blues to modern pop to her own distinctive originals. Local Bowling Green band “Plastic Friends” really wowed the crowd at Java City today with their tight, well-constructed alt-rock sound. Plastic Friends performed an acoustic set today with Matt Long on lead guitar, Will Perkins on guitar and vocals and Justin Mutter on conga. Today at Java City, Nashville singer/songwriter Tyler Matl performs at noon. At noon on Thursday, March 17, 2011, the Library Leprechauns presented a St. Patrick’s Day concert with Professor Jack Montgomery on guitar and vocals, Dr. Molly Kerby on mandolin and vocals, Dr. Tom Hunley on bass, and Lesley Montgomery, vocals and percussion. 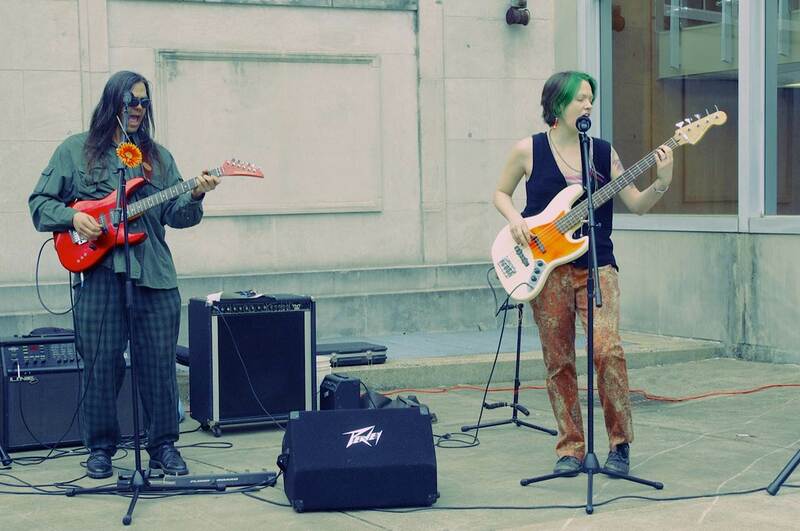 Performance was held at WKU University’s newly renovated Java City Coffee House in the Helm Library. Thanks to Independence Bank for their sponsorship. Singer/songwriter Kevin Renick for St. Louis, best known for his hit song “Up in the Air” thrilled the crowd today at Java City with his mellow and thoughtful music.